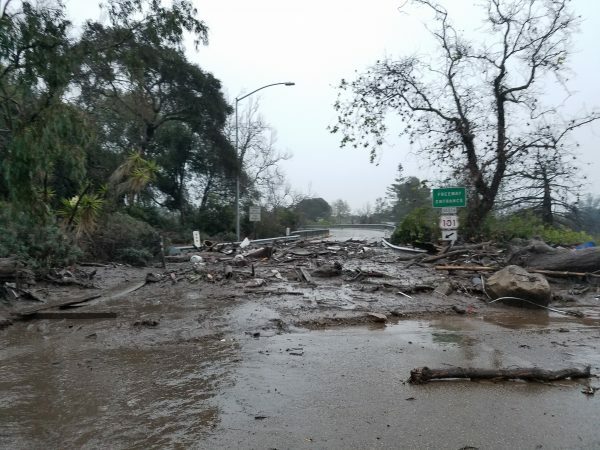 Shortly after noon, Traffic began moving again on Highway 101 in Santa Barbara County, according to Caltrans. Earlier, officials had said that the highway would be open in time for the Monday morning commute. For almost two weeks, crews have worked around the clock clearing blockages, stabilizing embankments, repairing guardrails and signs and cleaning the highway. As of Saturday morning, the death toll from last week’s storm stands at 21 with two people still missing. The storm, which devastated the Montecito area in the aftermath of the Thomas Fire, destroyed 115 single-family homes and damaged another 242.